Home>Sports> Jason Witten On Monday Night Football Criticism: "It Sucked To Go Through"
Jason Witten was one of many players who went from the football field to the broadcast booth. The Cowboys tight end brought his talents to ESPN's Monday Night Football and unfortunately for him, was immediately roasted for his performance. Fans were not forgiving to Witten and his broadcast style. 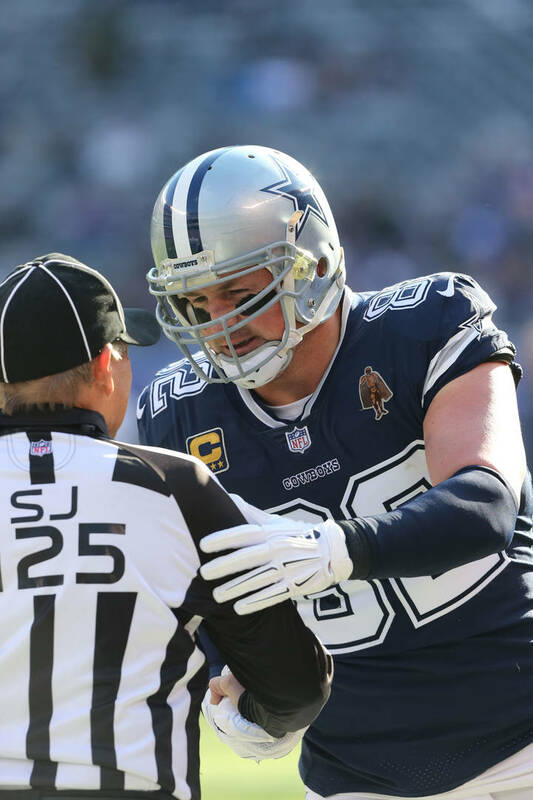 As Witten explained on Ryen Russillo's "Dual Threat" podcast, the criticism was extremely difficult to ignore and that it got to him at times. "Nobody's immune to it, regardless of how much mental toughness you have," Witten said. "That was one of the things I kind of prided myself on as a player 15 years. I could handle the big stage. … Certainly, I took a beating. I'm aware of it. To say, 'Hey, you didn't pay attention to it.' Bull-. Everybody's aware, and if you're not, you're lying to me. ... The toughest part was you finish calling a game and whether you're flying back that night or going back to the hotel I would check my texts and it was like they found out I was sick or something or somebody died in my family. 'Hey, praying for you. Keep your head up. Don't worry about it.' I'm like my gosh it wasn't that bad, you know. … I wasn't immune to it. It sucked going through it at times." "I didn't make this decision off of the noise and the criticism. That wasn't why I made this decision it was really just I want to play," Witten noted. "The scoreboard matters and I want to be a part of that." SPORTS Jason Witten On Monday Night Football Criticism: "It Sucked To Go Through"